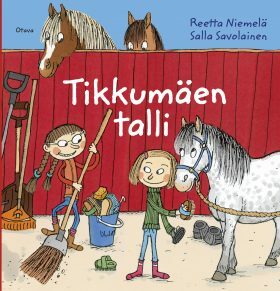 Iris is a girl who likes to go riding and is learning all sorts of important things about horses, life at the stables and friendship. Iris’ dream comes true when she goes for riding lessons at Star Hill Stables. She also gets to join the pony club, where she meets Riina and her brother Riku. Over the course of the year, the club members learn about riding and looking after their horses and ponies, as well as discovering that every pony has its own delightful personality.